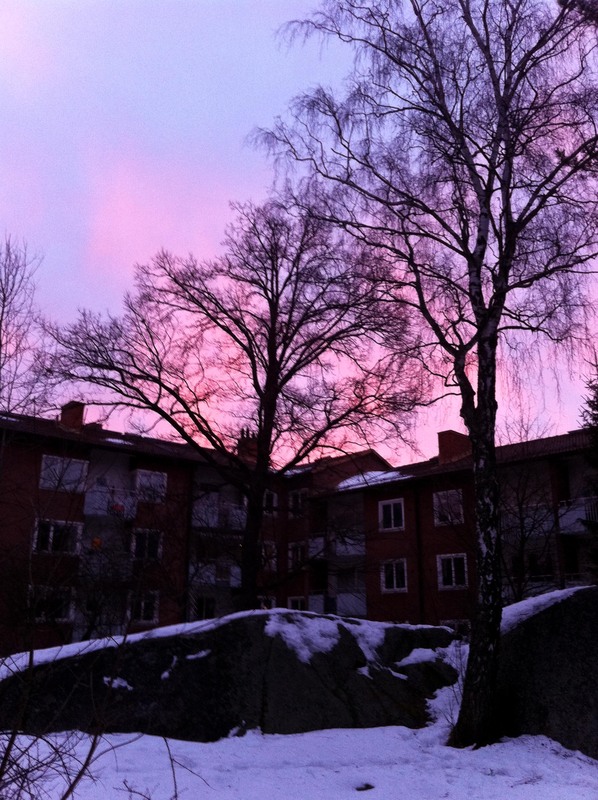 The morning sky when I went to SU today, really pretty and it was a shame that I didn’t bring my pocket camera. This was taken with my iphone camera. To be honest, this kind of view is very rare with the light that really unusual. I don’t know when I’ll have the same change, well… I guess never! The news on Metro today shared about what is happening in Egypt and one sadness news about one Swedish journalist got beaten and stubbed on the back. He had surgery and even his condition is stabil still he is in dangerous stage. I wondering why they hurt journalist? I red in CNN and BBC news online, every country’s leader put a statement that they are not agree about the action that treat international journalist in such a brutal way. I hope that Berth Sundström, the Swedish journalist get well soon and come back home safe. Can they do this peacefully? One news that also really getting more and more hot in Swedish newspaper is about one company that charge a lot of people without getting their permission and the funny thing is this company send the bill to people’s house without the person get any things at all, not even a single candy. They put the advertisement in Facebook apparently and people just don’t realize that they have been cheated with this weird advertisement. Well… there wasn’t any good news that I red today. Hopefully tomorrow will be a better day. This entry was posted in every day. Bookmark the permalink.